A greenhouse, or glasshouse, is a garden structural building in which plants are grown or cultivated. A variety of covering materials are used, including glass and polycarbonate, which of course dictates price. The construction material is also varied. Aluminium and wood are popular choices. 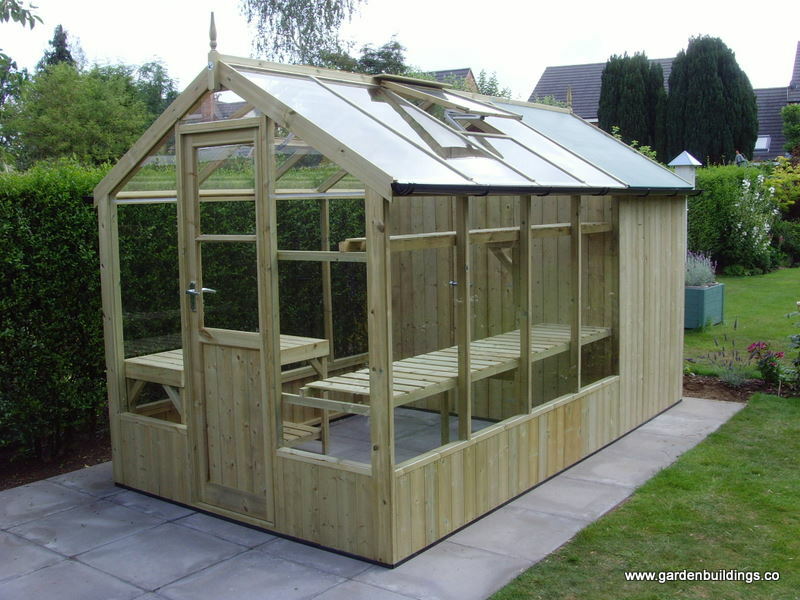 Standard 6 x 4 foot greenhouses are sold by most retailers of this nature - this one is below £150. The cost effective option. 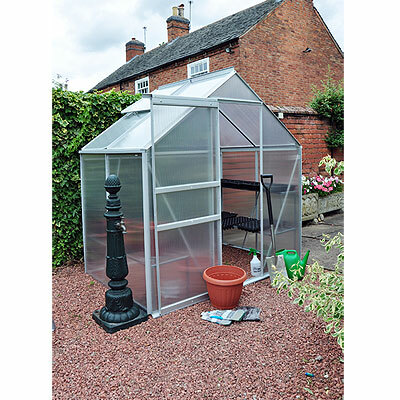 This greenhouse is perfect for small gardens and allotments. It is made from durable aluminium frames and crystal clear polycarbonate panels, and features a galvanized steel base and a magnetic door catch. 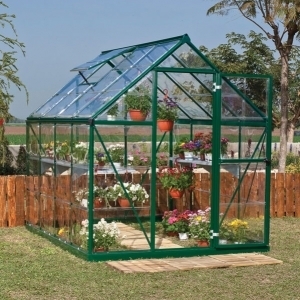 Constructed with a sliding panel assembly system, this greenhouse is designed to be easily assembled. 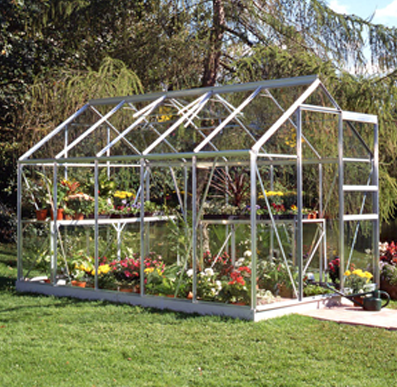 Halls Popular Framed Greenhouse 5' 10 x 9' 10. Single door, self-assembly with roof vent and guttering included. Includes a 128mm Galvanised Steel Base. The Swallow Tanalised Timber Combi Store 2.03 x 1.29m, at £1310 is a serious gardener's solution to all weather requirements.